Cruisin’ Motorhomes recently ventured up to the sunshine state (although they arrived to a cloudy rainy day) to give us a tour of their 3 berth Huntsman and mammoth 6 berth Discovery vehicles. 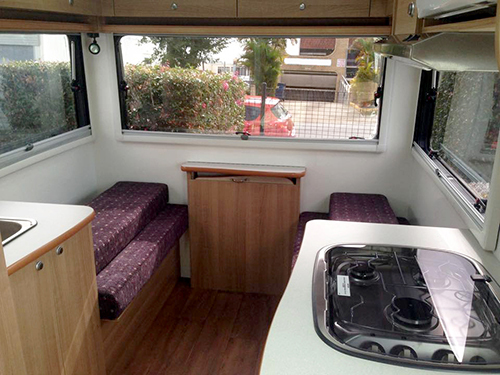 The Huntsman is a perfectly quaint 3 berth, suitable for 2 adults and 1 child. Although it is possible to fit 3 adults in the vehicle, it may become a little squishy up front on long drives. 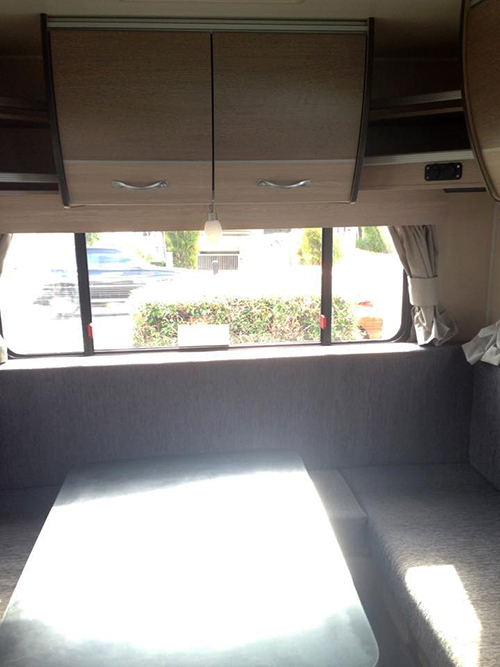 The main bed is above the front seats with easy accessibility. The bed can be left made up throughout your journey to save you hassle, however it does not raise up so make sure not to leave anything that could roll off in transit. Light switches and controls are right next to the bed near the door way to save you fumbling from the drivers seat to bed in the dark. The toilet and shower facilities allow campers to take advantage of free stays and long open roads without having to waste time searching for service stations or public toilet blocks. Our staff piled into the Huntsman with 4 adults comfortably sitting around the dining area that converts into a second bed at night. 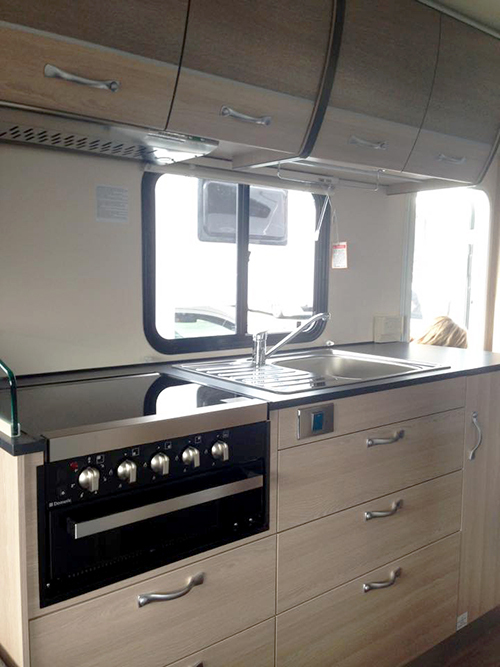 With plenty of extra storage space, high ceilings, a stove top cooker, fridge and microwave, the Huntsman is the perfect 3 berth camper. 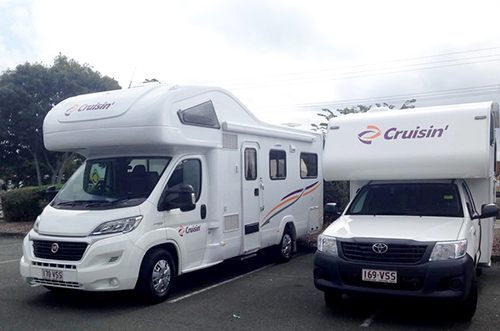 Cruisin Motorhomes 6 Berth Discovery has everything you could want in a camper and more. With a fridge and freezer big enough to fit a carton of beer as well as your groceries, it’s a very popular feature. The discovery also has a microwave, gas and electric stove top and grill. 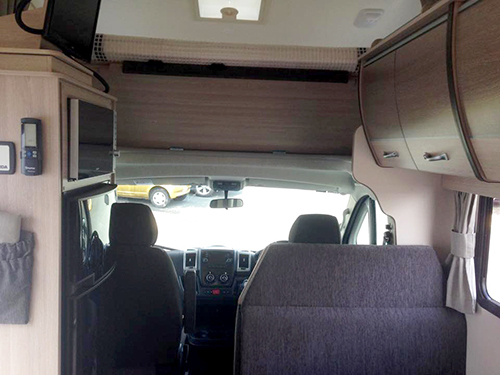 Storage space isn’t an issue in this vehicle with every last inch available utilised to make your holiday more comfortable. At night the bed in the cabover pulls down and can be left made up during the day. Two more beds can be made up in the seating area at the front and back of the camper. The Discovery has the same size toilet and shower area as the Huntsman making it a great option for long distance travel and free stays. 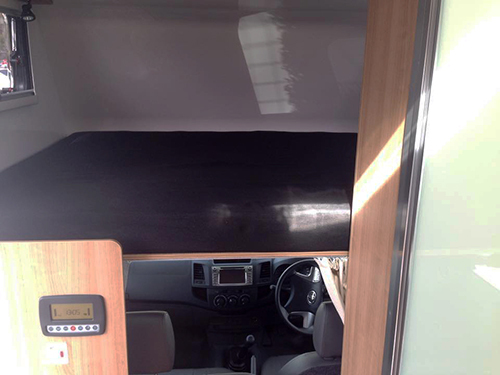 Extra features include USB charging ports in the back of the vehicle and magnetic curtains to help you sleep in. The Discovery’s privacy curtain for the front of the vehicle extends over the car seats where as most vehicles simply close off the seats from the main cabin area. This is helpful if you want to leave your bag on the drivers seat at night to allow more space for movement in the cabin, no prying eyes will be able to spot your valuables. Whether you are travelling in a small group or a large group, Cruisin certainly has you covered. Get a quote for a Huntsman or Discovery Campervan today and start planning your next great escape.